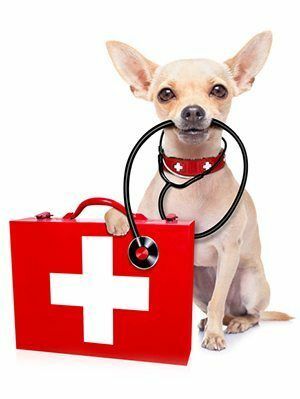 If you think your pet needs emergency medical treatment, contact us immediately at 317-218-3731. We’re here for pets in Noblesville and surrounding areas. During our normal business hours, we’ll make every effort to treat your pet promptly. Many plants, household items and chemicals are toxic to pets. If you think your pet has ingested something toxic, call the American Society to Prevent Cruelty to Animals (ASPCA). The ASPCA Animal Poison Control Center is your best resource for poison control 24 hour a day, 365 days a year. They can be reached at (888) 426-4435. Antifreeze is highly toxic to pets and humans. Because of its sweet smell and taste, your pet is more likely to ingest ethylene glycol, the poisonous ingredient in antifreeze. If dogs eat large amounts of chocolate, they can experience painful vomiting and diarrhea, or even death. Cats should stay away from many varieties of lilies due to their toxicity. Signs your pet has ingested something toxic include drooling, vomiting, appetite loss and diarrhea. Please contact us if you think your pet needs emergency care, or contact the ASPCA Animal Poison Control Center if you think your pet has ingested a poisonous substance.